Each generator is designed and engineered for long life, easy installation & service, simplicity and most importantly durability. Elegant simplicity and ultimate reliability result from engineering away complicated excess parts. Northern Lights uses only the best available materials and components in order to provide long life and excellent performance with low service costs. Quality is part of every manufacturing step, from careful hand assembly to testing every engine and generator with its wiring harness and control panel. Marine Electric Technologies sells, services and warranty-repairs all Northern Lights marine generators. Call us at 705-259-2628 today to discuss your marine generator needs. unparalleled factory support. By any measure, Northern Lights power generation systems are the world’s best. Northern Lights common service points, including filters, fills and drains are on a single side. In addition to easy access, this permits the generator set to be installed near a wall or bulkhead, saving valuable space. Northern Lights’ experienced engineering and high-quality components reduce belts and hoses to a minimum. Northern Lights uses a single-piece cast iron heat exchanger, expansion tank and exhaust manifold making them resistant to corrosion and electrolysis. 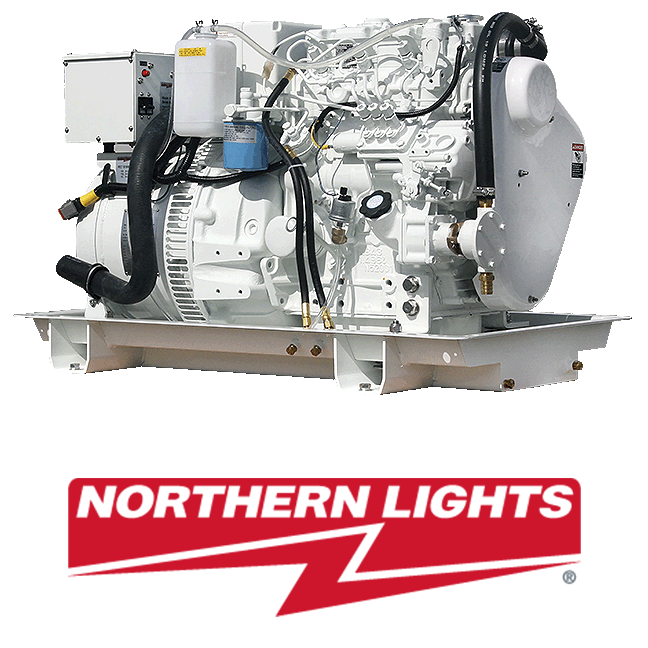 Northern Lights genset’s seawater pumps are gear driven (no belts) and use mechanical water seals. Northern Lights simple DC logic design is reliable, inexpensive and simple to repair. Relays are easy to replace when required.